With snow headed toward much of southern and central Illinois, the question remains, what can be expected from this winter storm? Meteorologist, Ed Shimon, says it won’t take long for this snow to accumulate. 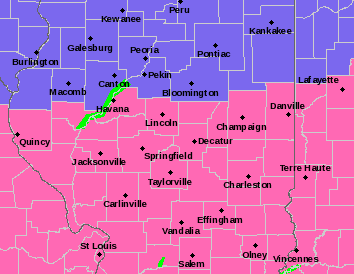 Taylorville is under a winter storm warning from 6 in the afternoon Friday until 6 in the morning on Sunday.